(Nov. 26, 2013) — From humans to sparrows, individuals within a species display distinct "personalities" when it comes to their behaviors. Taking an innovative approach to understanding how various factors impact behavioral patterns, David Westneat is working with a local population of house sparrows to understand how variables including local ecology, stress and hormones come together to affect the parenting behaviors of birds and other creatures. Westneat, professor in the University of Kentucky College of Arts and Sciences Department of Biology, has been awarded a four-year grant from the National Science Foundation for $670,000. As a behavioral ecologist with expertise on reproductive and social behavior, Westneat will use the grant to study variation in parenting patterns. The current project "Parental care and the integration of personality and plasticity at multiple levels of phenotypic variance," focuses on variation in the way individual sparrows feed their nestlings and how they respond to changing factors such as the demand of the nestlings, changing seasons, the behavior of their partner, and the level of competition with other sparrows nearby. "We have some birds with very parental personalities, who feed nestlings often, and some who are not so parental," said Westneat. "The grant is partially to understand the linkage between the different mean levels of care and how flexible they are in response to changing conditions." 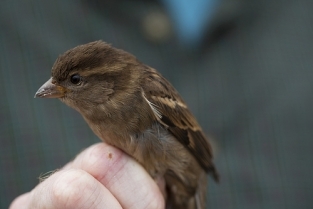 Working with co-investigators Rebecca Fox of Transylvania University and Matthew Schofield in the UK Department of Statistics, Westneat is studying the "gamble" that parent sparrows take each time they go out to forage for food for their nestlings. Because finding food is influenced by local ecology and food is often unpredictable, Westneat is interested in discovering if birds know enough about the nature of insect prey either to preferentially visit a place with low but more reliable food supplies as opposed to places where food is less reliably found, but the payoff is often greater in terms of the quality of the items there. This “gambling” could depend on how well their offspring are growing. Westneat came to UK in 1990. 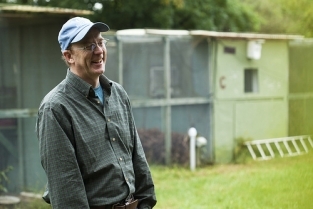 In 1992, he began working with house sparrows on UK’s Maine Chance Farm. To date, he has tracked more than 12,000 individual birds to study their behaviors. Today his research is based at the UK Ecological Research Facility, a roughly 55-acre tract of old farmland on the north side of Lexington. 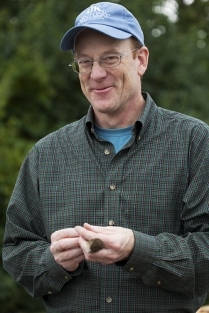 According to Westneat, the ultimate goal of the research is to have "a better understanding of how ecology affects the patterns of variation both within and among individuals, the consequences of this variation on reproductive output, and, if parents adjust their behavior, whether that is mediated by circulating levels of hormones." Ultimately, Westneat hopes to develop a broader understanding of the mechanisms by which phenotypes are controlled in animals, and the linkage between ecology, those mechanisms, and the expression of interesting behavior like parental care. Parental care is a particularly interesting behavior because obviously it’s how animals with dependent offspring are successful in reproducing, but parents often have to decide between the current offspring and surviving themselves to produce additional offspring. "There are some really interesting ideas about the evolution of just enough parental care, and so all these findings about the unpredictability of food, parental flexibility, and the underlying hormonal mechanisms adds to our understanding of those bigger decisions," Westneat said. "We thus expect parents to provide only so much care, but we don’t really know how local ecology, especially unpredictable aspects like where food is, might affect this bigger decision. Our studies of sparrows thus may contribute to understanding why variation in parenting behavior exists across all sorts of organisms, including humans."